Accidentals apply only to the pitch which they immediately precede, but persist through ties. Microtones may be achieved either through the embouchure or fingerings. The symbol “◦” over a note represents a mostly airy tone-color that still retains some pitch. The symbol “ø” represents a tone-color that is halfway between a normal playing technique and the ◦ technique. 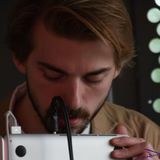 A “+” over a note indicates a “tongue slap” or “tongue pizz.” technique. 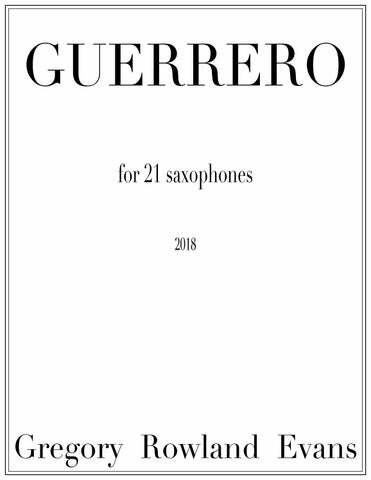 GUERRERO was composed for T he F rost Saxophone Ensemble with special thanks to Joey Speranzo.